A staple at the Beechy Co-Op is the delicious cashew nut. Cashews are a great snack, high in unsaturated fatty acids and nutrients such as copper and magnesium. Cashew cream is a great way to reap the benefits of cashews, in a tasty, creamy (and easy!) manner. 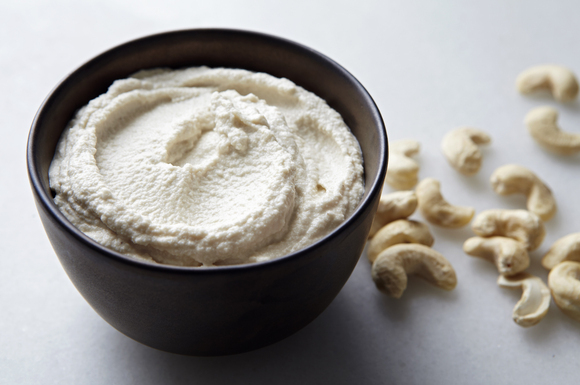 Simply soak 1 cup of raw cashews in a bowl of cold water for 4 hours. Drain them well, and place in a blender or food processor with 1/2 cup water, the juice of a lemon, a splash of Apple Cider Vinegar and 1/2 teaspoon sea salt. Blend at high speed until smooth and creamy! Use this beauty as a dip with your veggie sticks and crackers, or try it spread on toast with fresh tomatoes and basil. Enjoy!